Main course and tasty. A must to regain strength after exercise. 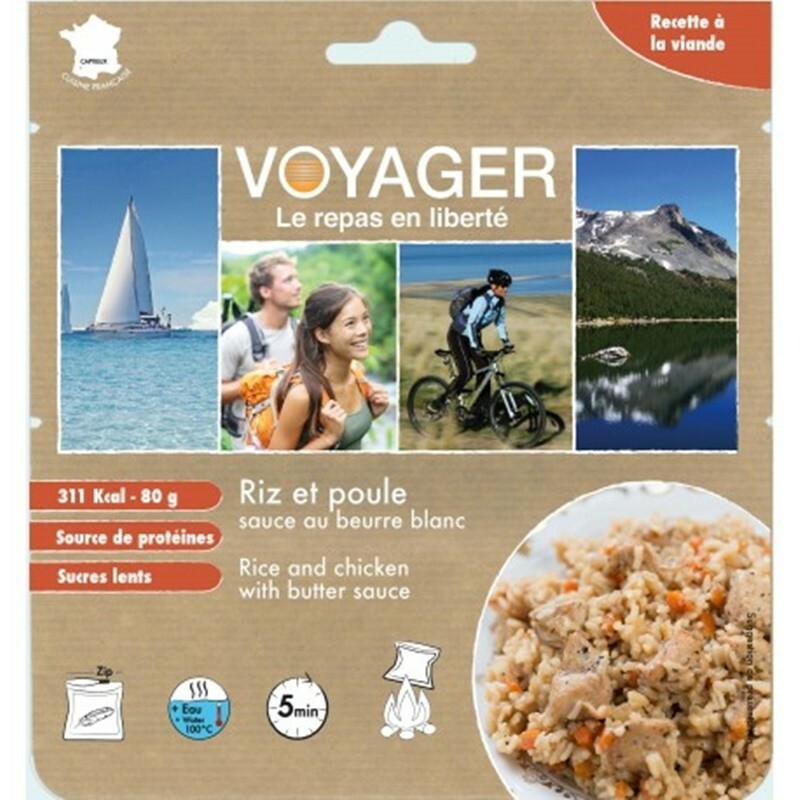 The Rice and Chicken White Butter Sauce from Voyager is a delicious blend, source of protein and slow sugar.